The ECCE App Challenge is a coding competition held by Esri Canada to help promote innovation and creativity within the Centres of Excellence. Apps powered by GIS technology and open data are created to help address a problem related to a specific theme which changes every year. Being my first year participating in the challenge, I had no idea what to expect. 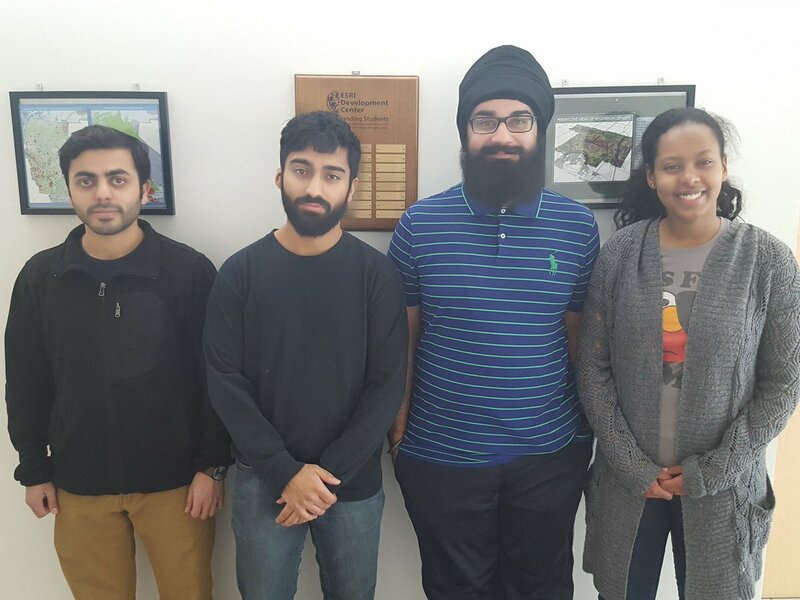 My team members where Abbas Gardezi, Manpreet Singh Chahal and Serad Abdi, all of which were first-time participants as well. Though none of us had participated before, each of us had experience working with GIS applications, RStudio and Python. We looked forward to the challenge! The theme of the challenge this year was “anything”. After a lot of brainstorming and browsing through open data, we decided to create an application to provide parents and caregivers with information that allows them to find and connect with local childcare services in close proximity within the City of Toronto. Our team’s goal was to provide the public with a means to identify the closest childcare centre using the Query, Direction and Near Me widgets. The user-friendly interface of our application made it simple for any parent or guardian to use the app to find an appropriate child day care centre.